Of the many things in life, there is only one constant; time. Once past, you will never ever be able to regain; to the extent it’s managed well, almost anything is achievable. Set a goal. It is important to be able to see the big picture; the end of the race. At the same time you will need to set milestones to measure your progress. This will help you see how far you’ve come and how much further you’ll need to go to achieve it. Create a plan of action. Identify your most productive time of the day and plan your schedule to accommodate. Look for a quiet place to think, focus and work. Make it a point to forward your cell phone to voicemail, quit your email & social media apps or better yet, disconnect from the Internet completely. Plan for efficiency. Keep your plan of action simple and straightforward. 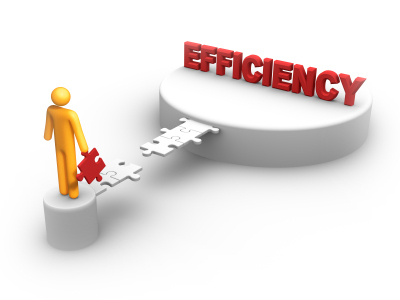 Make it easy for you to follow it to a T. Identify repetitive tasks, leverage technology to help you automate them and eliminate redundant processes. Stick to it. In order to ensure that your plan to maximize efficiency is sustainable, you will need to continuously work at it for about a month. Research shows that it takes a minimum of 30 days for a habit to take root. Dropbox backs up your data to the cloud and syncs it across all your computers. Accidentally delete or overwrite a file? The standard account saves versions of each file for up to 30 days. Automated image galleries, shared file & folder integration to help you collaborate, public folders for your career advancement, HTML micro-sites of your work, résumé and more. Google Docs is the equivalent of Office suite via the Web and more. Word processor, spreadsheets, presentations, one of its core key features is the ability for users to collaboratively edit the same document in real time. Google Calendar – Helps you manage and share your schedule, automates repeat events, reminders. Set it and forget it, at least until the next reminder email or pop-up arrives. Google Alerts – Automated alerts that notify you of preset keywords indexed on websites. Choose from a selection of immediate, daily or weekly notifications. Social Media – LinkedIn.com for professional profiles, Twitter to learn more and participate in conversations related to your interests and continuing education. Andrew works at Redtype, a creative design studio that helps to connect people by leveraging design thinking and technology to empower change & growth.